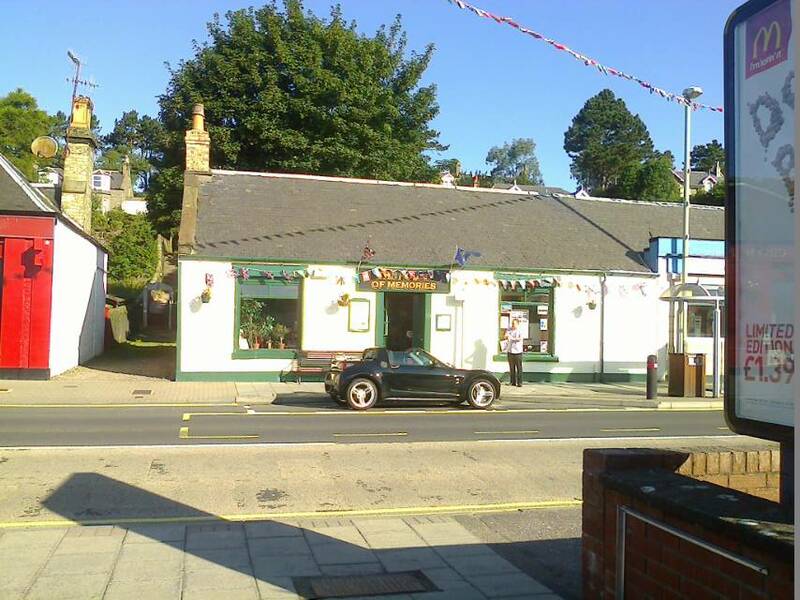 Work has been done to spruce up the House of Memories for the Commonwealth games with the shooting competitions taking place in nearby Carnoustie. This was taken on the 27th July. In case you are wondering about the car it is our President, Mrs Copland’s. The person by the window must have been drawn to look at the decorations…..
a close up for you. Don’t forget to check Doors Open Days which will give you details of September’s events. 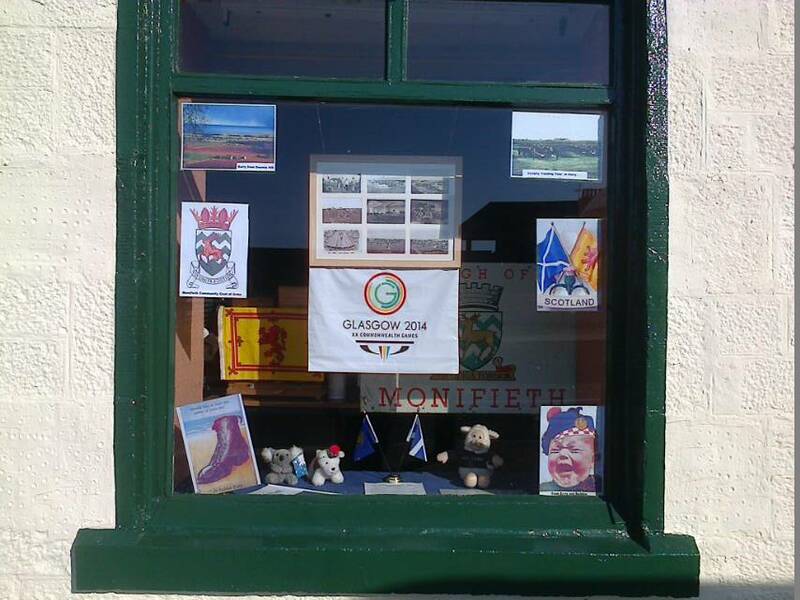 This entry was posted in Famous buildings, Society News and tagged Monifieth Local History Society. Bookmark the permalink.